The goal of the Mechanical Engineering department is to provide students with a balance of intellectual and practical experiences that enable them to address a variety of societal needs and also aligns academic course work with research to prepare scholars in specialized areas within the field. The Mechanical Department has a long tradition of excellence in education with an effective hands-on minds-on approach to learning, a landmark of our College of Engineering that offers students a wide range of options within the field of mechanical engineering. Our faculty are highly accomplished and many of them are renowned in their specific fields of specialty. Their advanced research practice and exceptional expertise enrich the learning experiences of our students. Our comprehensive state-of-the-art teaching and research laboratories provide unprecedented opportunities for students to learn, practice, and conduct research in mechanical engineering. The department organizes programmes to provide the students with industrial and practical experience through training and project work to meet the industrial requirements and face real life situations effectively. The department actively organises Guest Lectures, Workshops, Industrial Visits, Motivational Lectures by eminent persons and Design Workshops by APSSDC to enhance the knowledge of students to meet the industrial requirements. Modern multimedia teaching technologies are used to supplement lectures and enhance the quality of teaching. Computer aided learning packages on different subjects are available for self-learning. Industrial visits and Internships are arranged for the students to gain practical exposure. 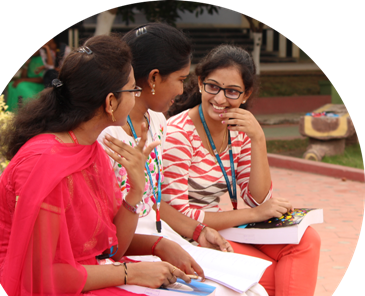 Guest lectures are conducted by inviting eminent persons from reputed organizations. The distinct feature of the department is that, every student will get an opportunity to participate in national level competitions like Go-kart, E-Bike and SAE BAJA. Graduates apply a deep working knowledge of technical fundamentals in areas such as Design, Thermal, Production, Industrial and related fields to address needs of the customer and society. Graduates pursue advanced education, Research and Development in Engineering, Technology and other professional careers. Perform themselves in a responsible, professional and ethical manner. Graduates participate as leaders in their fields of specialization and in activities that contribute to service and overall economic development of society. an ability to apply the knowledge of mathematics, science and engineering. an ability to attain the capability to identify, formulate and solve problems related to mechanical engineering. an ability to function effectively as a member or leader in a technical team. an ability to use modern engineering tools necessary for engineering practice. an ability to communicate effectively in both verbal and written forms. 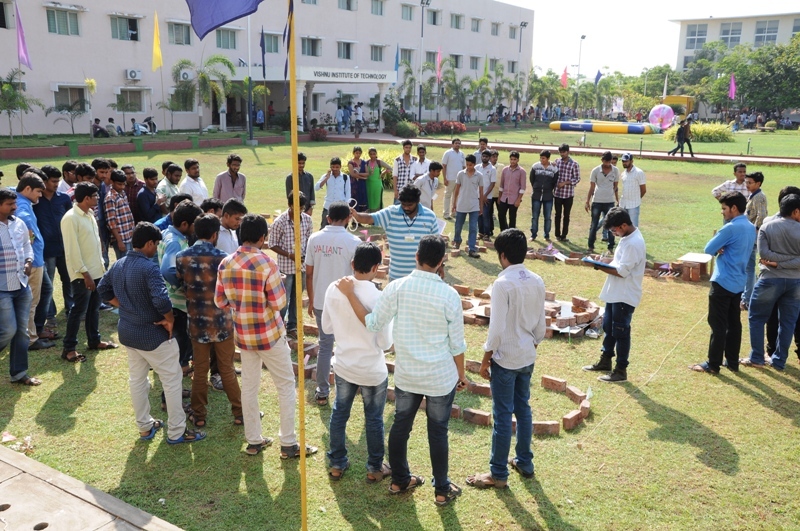 A national level conference on Advances in Mechanical and Materials Science (AMMS-2015) attracted active participation from highly reputed colleges throughout the nation. Conducted National level student competition - Vishnu Nitro Championship-2k17 (VNC-2k17)) in February 2017, to enhance the students technical skills and to update their knowledge in modern developments in engineering and technology, that attracted participants from different parts of our country. 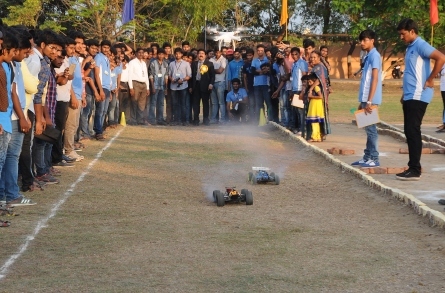 Encourages its students to participate in National Level Competitions like Go-kart, E-Bike and SAE BAJA. Following are the achievements of our students in the last three years. In Asian Electric Bike Challenge (AEBC) Championship 2k18, held at B V Raju Insitute of Technology, Narsapur, in March 2018, the Team AMIGOS was the overall championship winners. In Indian Pro-Kart Endurance Championship (IPEC) 2k18, organised by B V Raju Insitute of Technology, Narsapur, in March 2018, the Team KRONOS were the winners in skid pad round and selfie contest event. Mechanical engineers build useful products for society. They design and manufacture everything from medical devices to jet engines, and they integrate computer chips into "smart products." Mechanical engineers now reach far beyond the industries traditionally associated with the field, such as transportation and power generation. Mechanical engineers are creating new, important technologies that impact upon every aspect of our lives.